Russia’s state television has launched a new channel that targets the younger generation with programming dedicated entirely to World War II. The Pobeda (“Victory”) television channel, which will broadcast wartime movies and shows 24/7, appeared in cable and satellite packages ahead of May 9, Russia’s national holiday marking the Soviet victory over Nazi Germany. 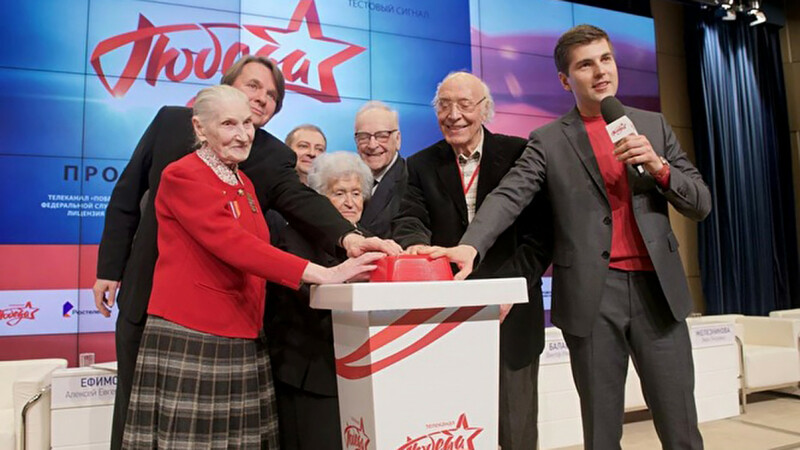 “It’s a tribute to our older generation and a baton that we want to pass on to our descendants,” Konstantin Ernst, head of the state-run Channel One, said Tuesday. Ernst and other participants marked the symbolic launch by pushing a “huge red button,” a reporter for the U.S.-funded Radio Free Europe/Radio Liberty news outlet tweeted from the event. Box office numbers and television show ratings demonstrate that there is demand for World War II material among Russian audiences, Channel One’s general director Alexei Yefimov said in the run-up to Pobeda’s launch in January. The Kremlin is planning several events for May 9, 2020, to mark 75 years since the end of what Russians call the Great Patriotic War.